One of the foremost critics and commentators on the New York scene during the early decades of the twentieth century, Alexander Woollcott was a larger than life character. Bombastic, given to extremes, he is the basis for the stereotypical critic, but in many ways he had a heart of gold and had genuine affection for the artists, actors, and writers he commented on. He also had an inflated view of himself and his importance, which he readily acknowledged. Woollcott loved to laugh, and the thing he loved most to laugh at was Alexander Woollcott. Woollcott is best remembered as the inspiration for the character Sheridan Whiteside, from The Man Who Came to Dinner. He was also convinced that he inspired Rex Stout's detective Nero Wolfe. Stout and Woollcott were friends, but the detective writer denied any connection. Woollcott is also listed as a member of the Algonquin Round Table, a famous group of writers who met daily for lunch at New York's Algonquin Hotel. In fact, Woollcott was more than a founding member of the Round Table, he was the reason the group began to meet in the first place. Theater press agent John Peter Toohey was irritated at Woollcott for refusing to plug one of Toohey's clients in his New York Times column. Toohey organized a luncheon at the Algonquin, supposedly to welcome Woollcott home from WWI. 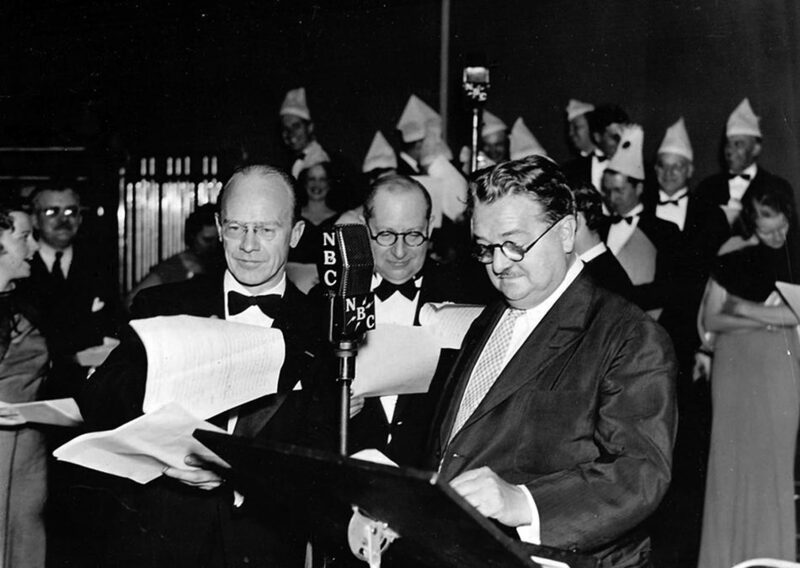 Instead of a welcome, Woollcott found himself the subject of a well organized roast. The event was such a success that the attendees agreed to continue to meet at the hotel daily for lunch, a tradition that continued from 1919 to about 1929. Woollcott was born in a ramshackle 78 room house in Colts Neck, New Jersey, known as the North American Phalanx. The Phalanx had been the home of a failed Utopian commune that was taken over by the Bucklin family, Woollcott's maternal grandparents. His father was somewhat of a drifter, a transplanted Cockney who spent a good deal of time away from his wife and children. Although poverty was close at had during his youth, both the Woollcotts and the Bucklins were avid readers and passed a love of literature to young Alexander. The family moved to Kansas City where Alexander attended Central High School. As an outsider, Woollcott had a tough time in school, and was constantly beaten up by the jocks. A teacher, Sophie Rosenberger, encouraged Alexander to write. At Hamilton College, he was editor of the student literary magazine and founded a drama group. While in his early twenties, Woollcott contracted the mumps, which left him sterile if not impotent. Nonetheless, he would gain a reputation as a noted homosexual. In 1909, Woollcott joined the staff of the New York Times as a cub reporter, and was named drama critic in 1914. When WWI broke out, Woollcott volunteered as a private in the medical corps. While in France, the Intelligence Section of the Expeditionary Force selected Sergeant Woollcott and some other soldiers with a writing background to form Stars and Stripes, an official newspaper dedicated to building troop morale. Woollcott was the paper's chief reporter and gained a reputation for reporting the War from the soldier's point of view. In 1924, Woollcott was dragged to the Broadway revue I'll Say She Is. Although he was less than enthusiastic at sitting through the antics of a group of “vaudeville has-beens." However, the show thoroughly delighted the critic, and his review helped raise the cast, the four Marx Brothers, to stardom. It also began a lifelong friendship between Woollcott and Harpo Marx. 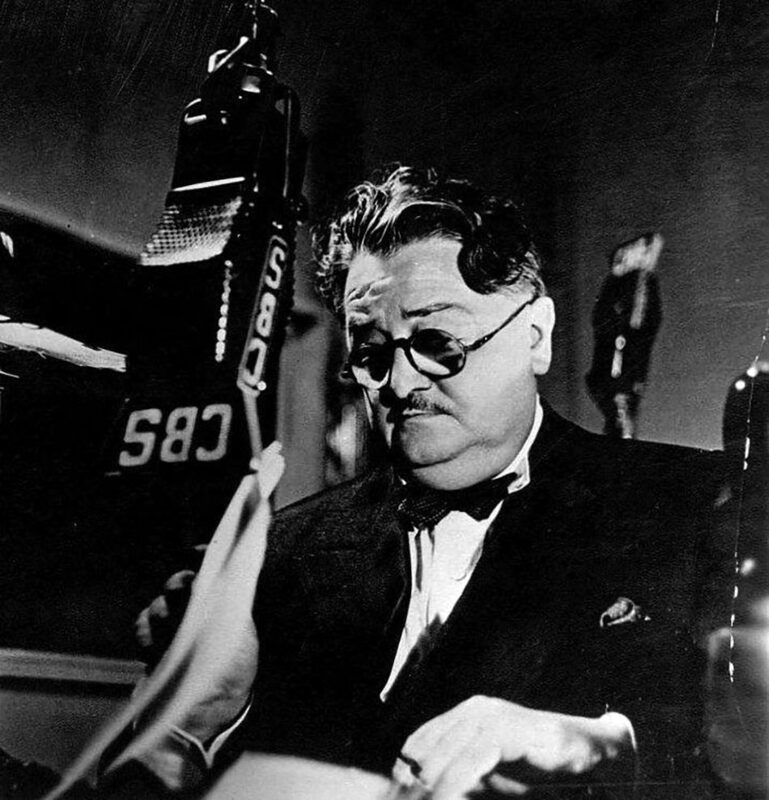 Woollcott became one of New York's most prolific theater critics, and in October, 1929, (about the same time as the Great Wall Street Crash) Woollcott was heard in CBS Radio asThe Early Bookworm. The show filled various timeslots until 1933 when Woollcott changed his format to become The Town Crier. 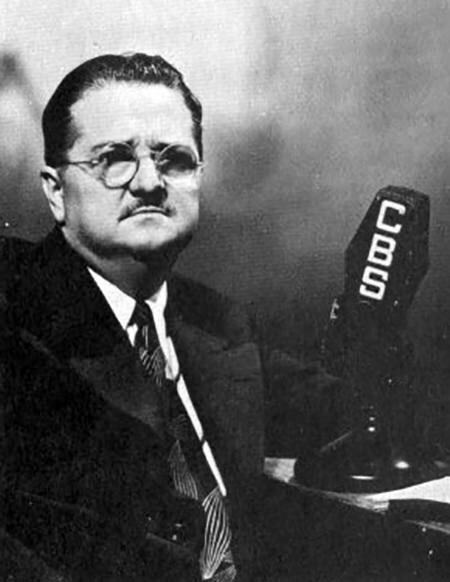 Complete with clanging bell, Woollcott shared literary observations and anecdotes, and was not afraid to use the show to plug his own book, While Room Burns (1934), which became a best seller. The Man Who Came to Dinner debuted at the Music Box Theater in 1939, and ran for 739 performances. Playwrights George Kaufman and Moss Hart were good friends of Woollcott's despite his sometimes obnoxious tendencies. Hart told of an incident when Woollcott arrived unannounced to Hart's country estate. The critic was rude to the staff, took over the master bedroom, and generally made himself unwelcome. 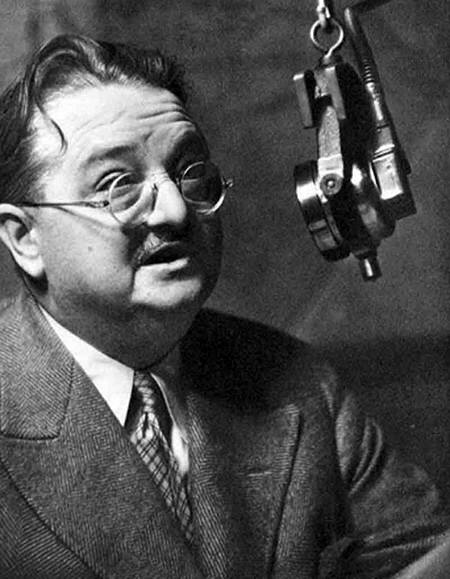 While the episode was being related, Kaufman remarked that Hart was lucky Woollcott hadn't broken his leg, then he would have been stuck with him. In an instant they knew they had a terrific idea for a show. Although it put his foibles on public display, Woollcott laughed harder than anyone at the play, which Hollywood put on the screen in 1942 with Monty Wooly, Bette Davis, Ann Sheridan, Billie Burke and Jimmy Durante. Lux Radio Theater adapted the movie for radio in 1950, starring Clifton Webb and Lucille Ball, and the play was presented on The Theatre Guild on the Air in 1946 starring Fred Allen. Be the first to comment on "Alexander Woollcott"